Continuation of the lecture series on budget-economic survey. Under Sectors of economy, GDP related topics were covered in last lecture. This next session held on 27th March 2015, further continues into agriculture and manufacturing sector. Agricultural productivity for various crops in India’s best vs. World’s best. BT and genetically modified crops- why is economic survey suggesting changes in regulatory sector? Why Overconsumption of fertilizers and its negative impact on Indian economy and ecology? Salient features of soil health card scheme and Mridaparikshak. 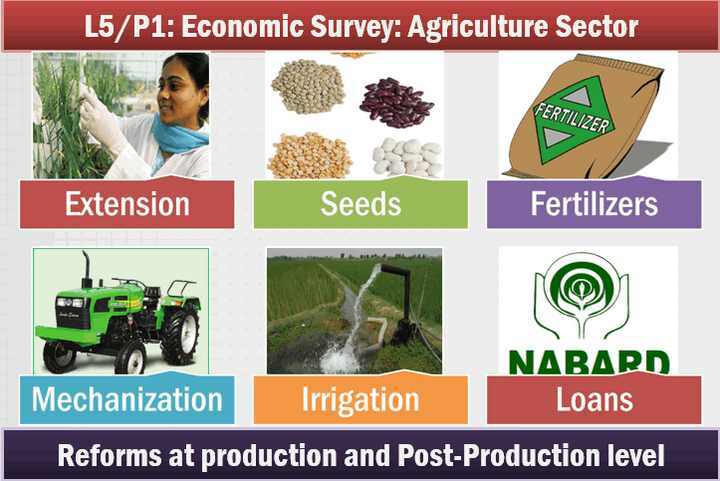 Post-production reforms in agriculture sector (1) public procurement-FCI-PDS Shanta Kumar (2) private retail- APMC reforms, national common market. Mock question for Mains: “Agricultural commodities markets have to be made more competitive in the interests of both producers and consumers.” Examine the legal-Constitutional impediments involved and suggest remedies. 200 words. 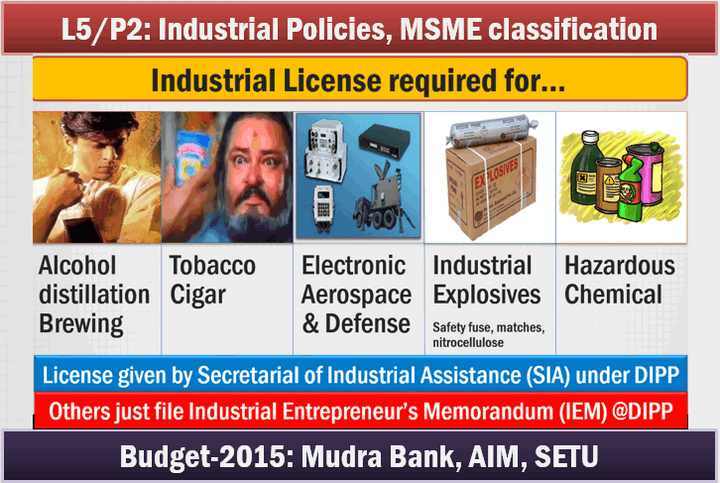 5 areas requiring industrial licensing. SETU: self-employment and talent utilisation scheme for start-up companies. 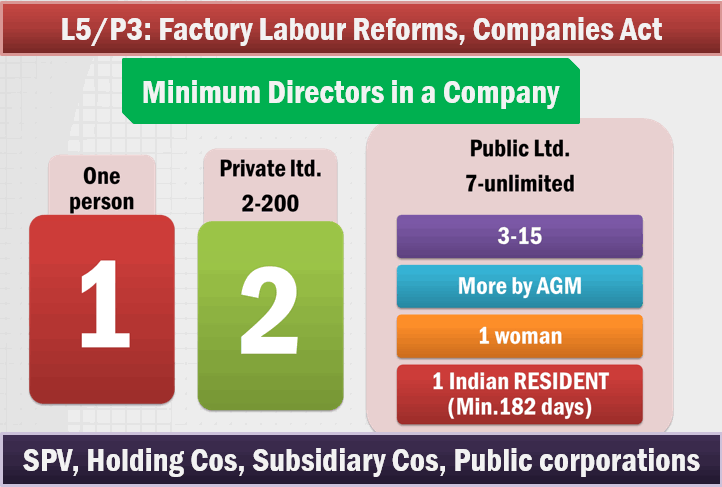 Why the need for factory Labour reforms in India? Salient features and benefits of factories Bill 2014. Companies act 2013 – three types of companies: one-person company, public limited company, private limited company. What is special purpose vehicle (SPV)? Government owned entities: departmental undertakings, public corporations and government companies. 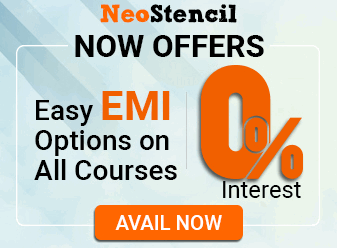 Visit youtube.com/user/TheMrunalPatel For more lectures on UPSC General Studies. [BES16] Economic Survey → Sectors →Deflationary spiral, Philip Curve, Stagflation, Wedge between CPI-WPI, Is India’s GDP overstated? Thank u. Audio of L5/P2 got some disturbances. i am able to hear some other people chating… instead of Mrunal’s lecture. (only here and there). pls correct… future lectures. donot open ppt file plz help me sir…. Even today itself in morning i was thinking what if Mrunal.org unavailable how can i prepare for my exam,what i saw after 2 hours that site is not working. ut relaxed to see that site also available offline. Is the upsc ever going to announce the mains result? Plz provide a study plan for fci ag3 technical. And book list also specially for technical part. please post the economy survey articles sir. I m jat by caste and my dob is 02 aug 1984. I was having obc certificate and applied for nabard in obc category as there was age relaxation of three years for obc. Having cleared both grade a and grade b phase 1, got call letter for phase 2. Now recently supreme court has scraped jat reservation. Though i m sure that i will be counted as general candidate for phase 2 result, but the doubt remains that m i even eligible or not because i m 31 years old. Sincere n quick replies are welcome. in name of UPSC are making good business. and shy to ask for the big bucks. good….honest appproach…liked it….hmesha bde log humble aur simple hi milenge,,,,,,,,,,thumbs up!!!!! Your lectures well known throughout India and beneficial to all civil aspriants,sir as your lecture was in hindi candidates belonging to south region may not understand pls give english version or else present explanation as an article as you were previously did. sir ek bat aaur kahena chahuga me dusaro ke bare me nahi janata par mere liye app sir GOD ho. kyu ki aaisi seva ek khuda ka banda hi kar sakata hai. After few minutes there is no Audio in lecture no. L5/P2 on Economy and G6/P6 on Geogrpahy. Please look into this, as your each lecture is extremely important for us. Thanks a lot,Videos uploaded by you are very good and helpful. sir, economic survey ke articles kab tak aayege.